Do you want to do good this holiday season? 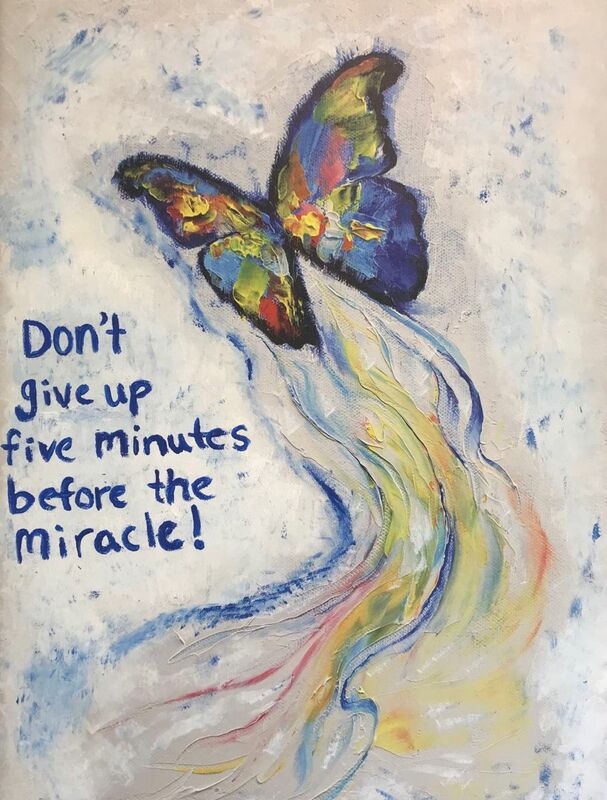 You can help miraculously transform the life of someone like Kevin who developed an opioid addiction at 14 years old. Read about how he made it off his dark path of substance abuse, and how you can support others like him. Continuum's South Central Peer Services program provides grants for projects to people diagnosed with mental illness or co-occurring disorders that are receiving DMHAS services. Applications are due 2/1/2019. 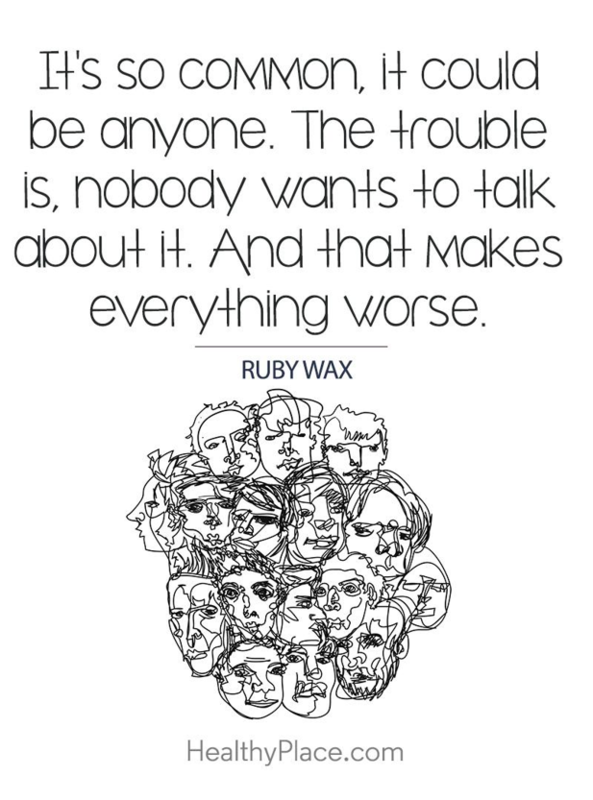 Just in time for Mental Illness Awareness Week, read a first-hand account of first episode psychosis and learn facts on suicide prevention. Also, learn about our mental illness/substance use recovery program. 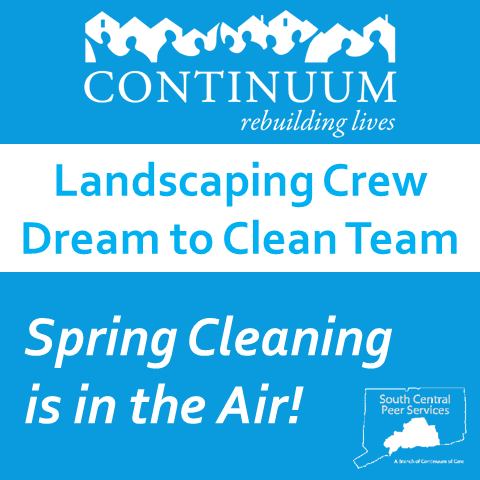 Continuum's Landscaping Crew and Dream to Clean Team are professional and provide high-quality service. Staff is supervised on every job. Hire them for mowing, trimming, pruning, mulching, spring cleaning and fall clean-ups, pre-closing and moving, cleaning out an attic or basement and much more. Free estimates. Prices are reasonable and guaranteed to be 10% lower than competitors. 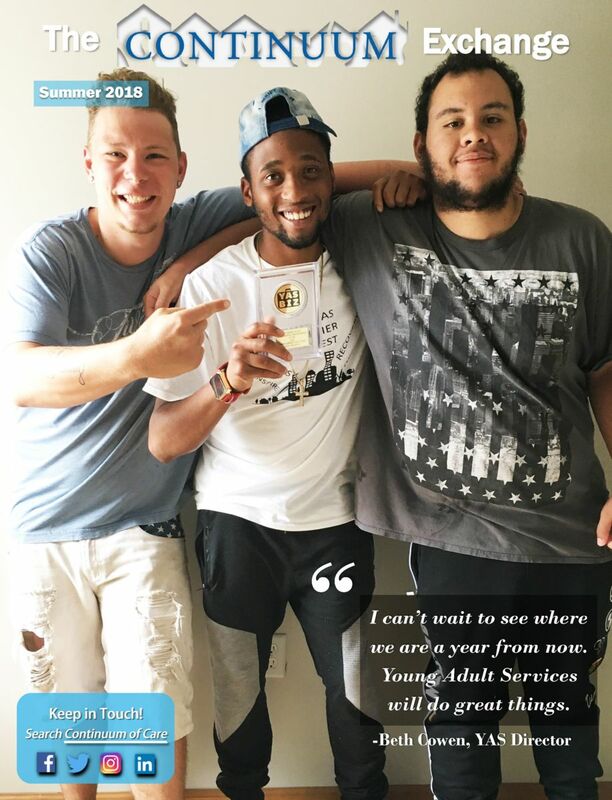 The latest edition of Continuum of Care's newsletter features the outstanding accomplishments of our Young Adult Services programs, inspiring client success stories, easy, affordable recipes, and more!